In our fast-paced culture, we’re all under pressure to get smart fast, especially in marketing where we can be working with a different industry on a daily basis! I’m a true believer in research tools with solid methodology and peer review, but that’s not always feasible. 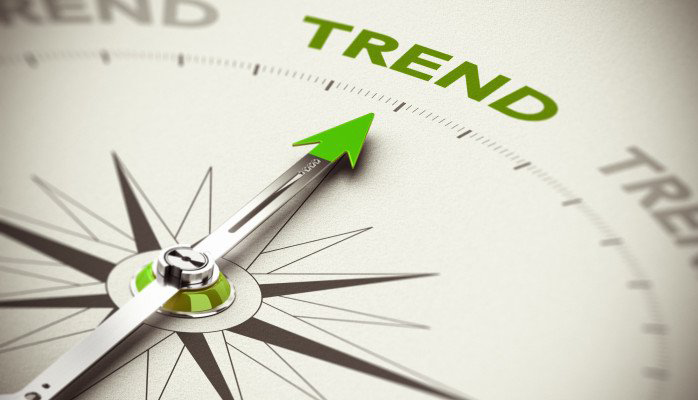 When best-in-class research isn’t possible, Google Trends can be a valuable, fast and free resource with considerable flexibility for spotting cultural trends if you know its potential and its limitations. Case in point, here’s a Google Trends graph that reveals (and validates what many suspected)… that interest in moving out of the country spiked immediately following the November 2016 election when Trump was announced President. This was available in days, and before any full study could be compiled and released. This tool allows us to see an index of popularity of a searched term over time, with 100 being the all-time high point observed. This index is not a numerical volume of search but the relative volume compared to other times, and it is normalized to remove unrelated trends, such as increases in overall searches due to growth in internet access or mobile searches. From this, we can see that the election day spike in searches (interpreted as an expression of interest) was accompanied by searches for “move to Canada” after the Trump nomination in March 2016 and again during the week of the presidential inauguration in January 2017. Google Trends is valuable for reducing outside confounding factors to see real trend lines over time. It’s not a precision tool, an accurate measure of correlation or amount of interest, just the trend and direction of interest with all other factors being equal. I always search variations of the same concept to make sure there is consistency and that I’m seeing multiple sides of an issue. Upon further investigation, we can see that in addition to the Trump presidential win resulting in a huge increase in researching leaving the country, we can also see that it prompted more interest in “how to get involved in politics” than during the prior thirteen years. In addition, we can see that the contentious election prompted more searches for “register to vote” than for any prior election season since 2004. Google Trends provides a quick but powerful perspective on cultural interest by showcasing what we search over time. Of course, Google Trends can be used for fun too. Check out the change in trends of the “color black” and “color blue” over time or watch what happens when you compare Kardashian and Jenner sisters.